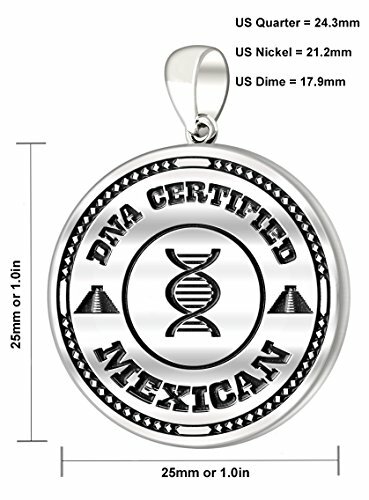 Be proud of who you are and try our new line of DNA Heritage disc jewelry exclusively from US Jewels and Gems. DNA testing and ancestry research is now easily available online to anyone wanting to know their history, and we wanted to design jewelry that allowed people to displace their genetics. 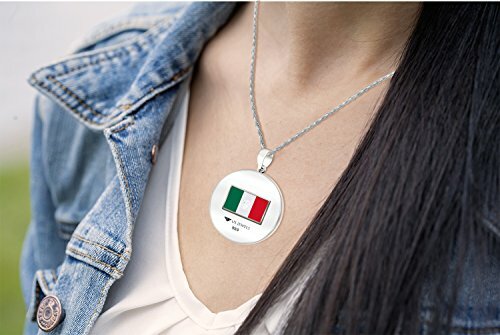 Our new disc pendant combines cultural symbols, fonts and flags to boldly represent your heritage. Each pendant is handcrafted, double sided and is currently available in 12 different cultures. 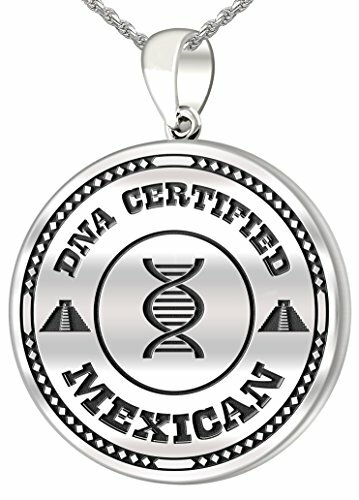 On the front side, we have a DNA double helix surrounded by the words "DNA Certified XXXX" (XXXX represents your corresponding ancestry) and a symbolic emblem on either side. 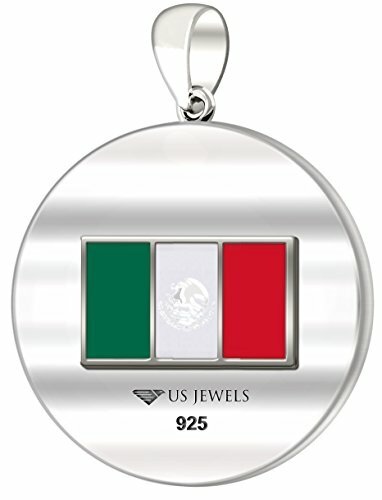 If your ancestry matches a certain country, the back side will have a modern flag. Currently available in 0.925 solid sterling silver, but it can be made in 10k, 14k, 18k or platinum upon request. SIZE AND MEASUREMENTS: Medal pendant is 25mm in length and 25mm in width. Size comparison - US Dime: 17mm, US Nickel: 21mm, US Quarter: 25mm. Take a look at the sizing image for more details. 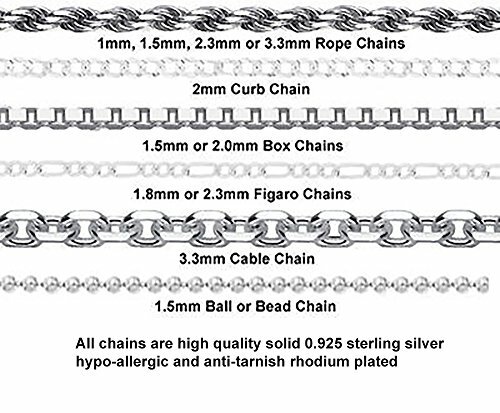 CHOICE OF CHAIN: Our pendants comes with your choice of a sterling silver 1mm, 1.5mm, 2.3mm, 3.3mm rope chain, a 1.5mm, 2.2mm box chain, a 2.0mm curb chain, a 1.5mm bead chain, a 1.8mm, 2.3mm Figaro chain or a 3.3mm cable chain in either 18in, 20in or 24in sizes. (Custom lengths are available upon request). 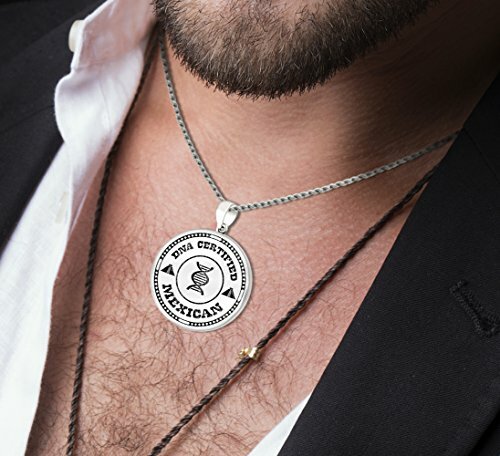 All chains are made of solid 0.925 sterling silver with a coat of anti-tarnish rhodium plating applied to ensure the highest quality and the longest lasting endurance possible. Men's 0.925 Sterling Silver St Christopher Oval High Polished 1.25" Pendant 1.5mm Bead Necklace, 18"